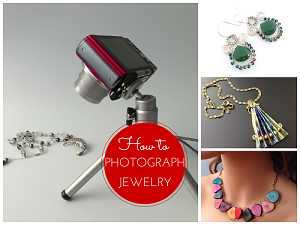 Some jewelry makers also do other crafts like crochet and knitting. 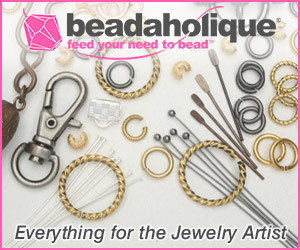 Conversely some crafters who crochet and knit also wear jewelry! 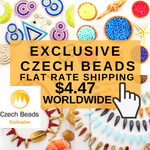 So here are several awesome yarn and thread crochet necklace tutorials to prove the point! 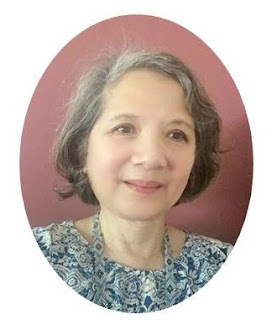 I spotted Mandy's wonderful crochet circles on chain tutorial (shown above) on her blog, Mandipidy a while ago. She attached them to chain but you could also sew them together either as a row or a group and leave the chains for the backs of the necklace. Crochet it in all sorts of colors to match your outfits. A great yarn stash buster too. 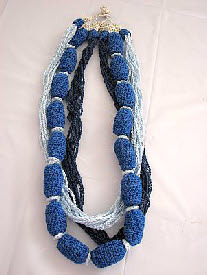 The multi-strand royal blue crochet beaded necklace tutorial by Donna Collingsworth will require some expertise with crochet. Thanks Willi for this find! 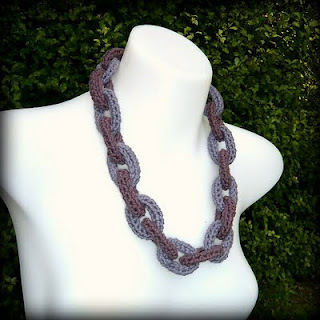 Another design which has great potential for color variations is the crochet chain link necklace by Shara Lambeth. 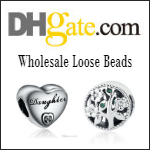 Her blog post shows some colorful examples including one which incorporates beads. 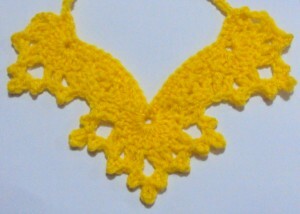 Rachel over at Crochet Spot has a crochet angel wings necklace tutorial. There are two parts - Part 1 and Part 2. I would use metal chain for the backs of the crochet focal rather than yarn chains. 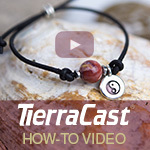 Fibreromance uploaded a video tutorial for a colorful crochet circle focal quite unlike that of the first tutorial. You do need to know how to start with a magic ring so there is no gap in the middle. Some truly amazing ones! I really adore that first one, it is so...beadlike. Fun pieces! Love the colorful circles. And how about adding some crystal dangles to those angel wings? Yarn jewelry most be comfortable to wear.